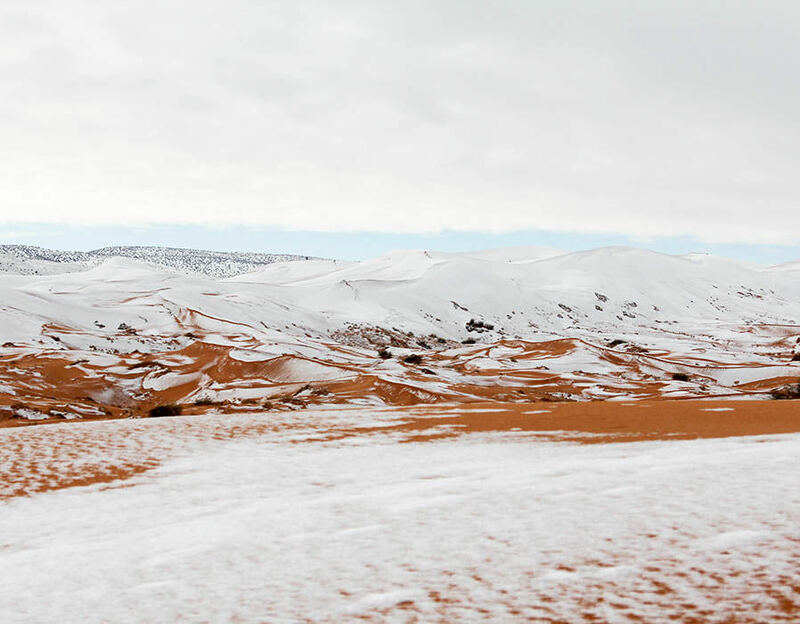 According to reports, the last time it snowed in the Sahara Desert was on the 18th Feb 1979 in Ain Sefra. 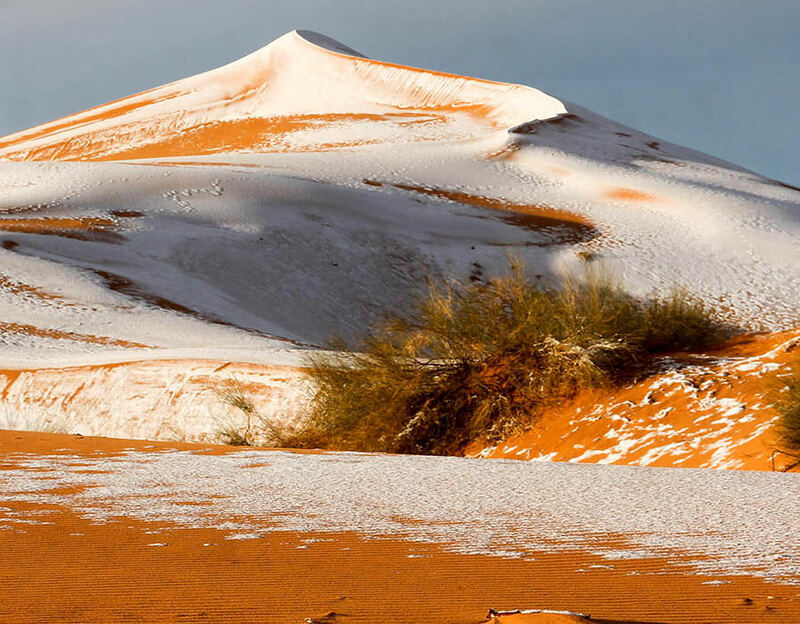 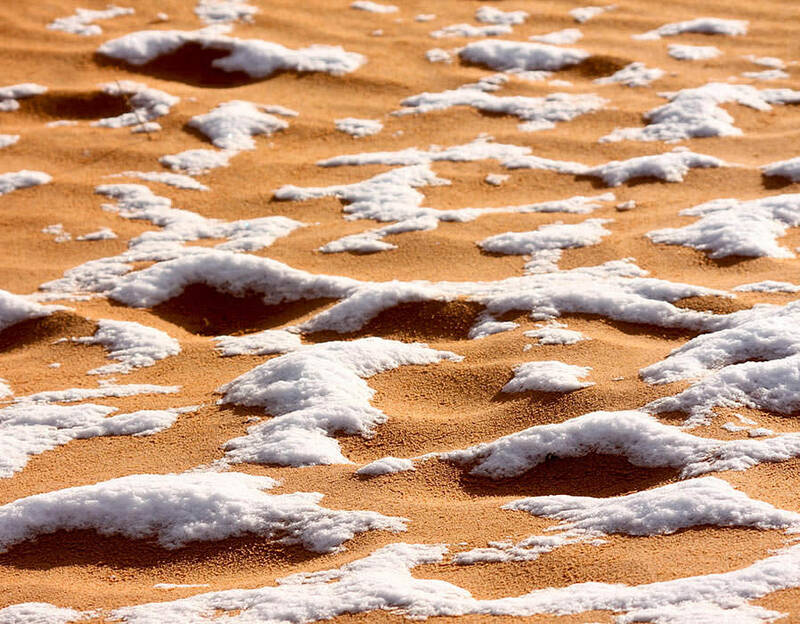 The Sahara Desert is the third largest desert in the world and it has come as surprise to many people that snow could actually fall in the desert. 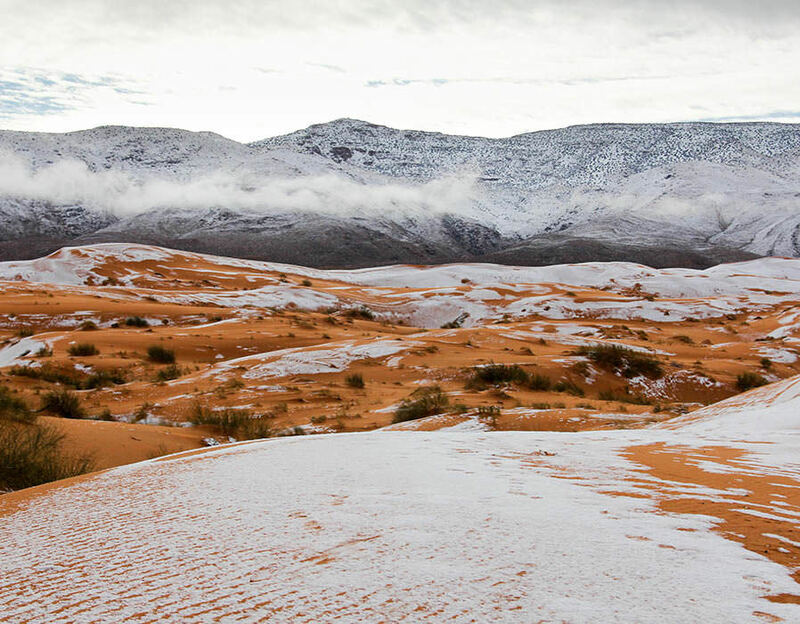 The beautiful scenes were captured by photographer Karim Bouchetata who told the Express "We were really surprised when we woke up to see snow again. 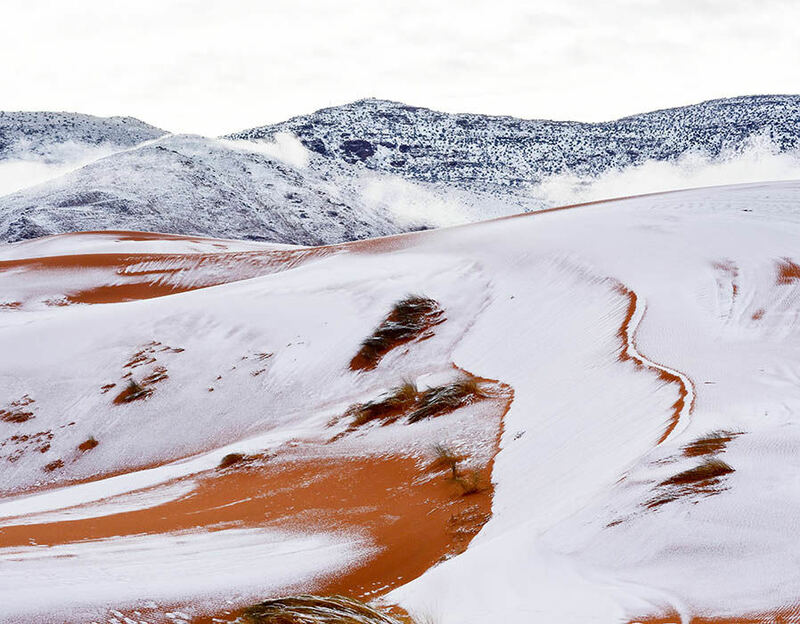 It stayed all day on Sunday and began melting at around 5pm." 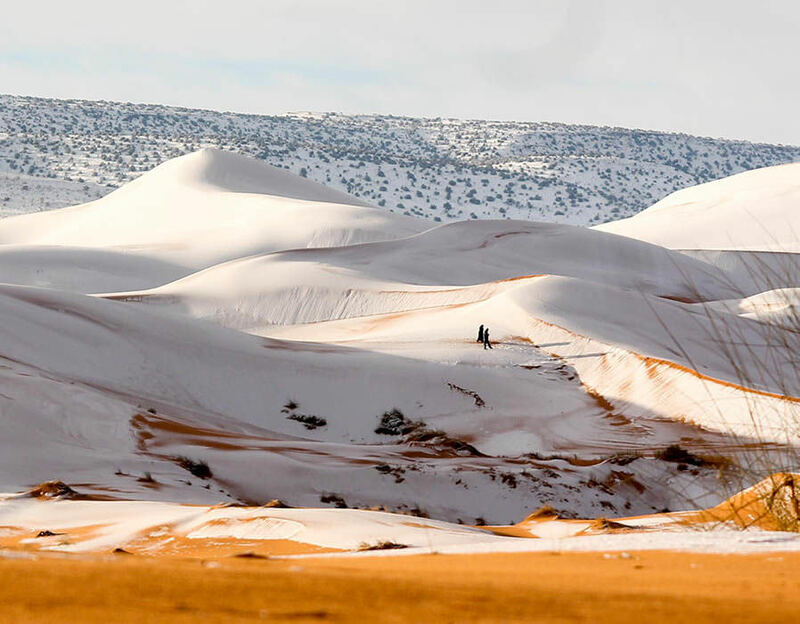 With the US and Europe suffering freezing temperatures, it comes as no surprise that such a event took place possibly reiterating the fact, global warming is a concern.